At the 9.30am service on Sunday 20 September 2015, the Congregation of St Luke’s Uniting Church, led by Rev. 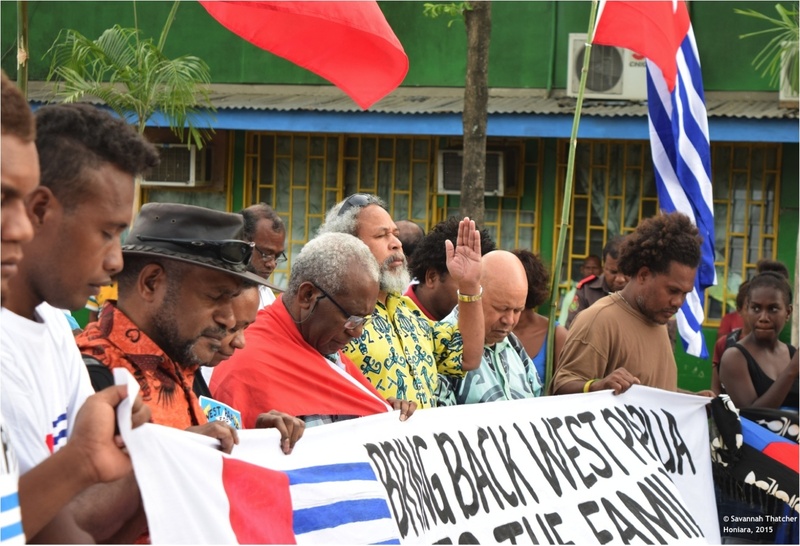 James Douglas, is prayerfully reflecting on West Papua’s recent success with the Melanesian Spearhead Group in Honiara (Solomon Islands) and the Pacific Islands Forum in Port Moresby (Papua New Guinea). A special feature of the service will be the church choir singing Jou Manfun, a classic West Papua praise song, with Melbourne based West Papuans. The congregation’s reflections will be informed by a powerpoint report by the Federal Republic of West Papua. Louise Byrne, from the FRWP Women’s Office, was in Honiara for the MSG Summit in June 2015, and is sharing stories about West Papua’s historic achievement of winning Diplomatic standing and Observer status within the UN-recognised international organisation. Louise’ other report on the extraordinary ‘West Papuan Leaders Summit on Reconciliation and Unification’ in Port Vila in December 2014 will be of special interest to the St Luke congregation, which openly supports West Papua’s political self-determination endeavours. The Vanuatu Summit paved the way for West Papua’s successes firstly with the MSG in Honiara and then with PIF in Port Moresby. Louise was able to observe the ni-Vanuatu, over a period of ten days, helping their Melanesian kin, through a paradigm of culture, faith and intellectualism, to overcome historic differences and forge a united representative committee to carry their independence program. Photo: Savanna Thatcher, Honiara, 19 June 2015. United Liberation Movement for West Papua (the representative committee charged with prosecuting West Papua’s independence agenda) at the start of the WESTPAPUA4MSG Rally in Honiara two days before the Melanesian Spearhead Group Summit.